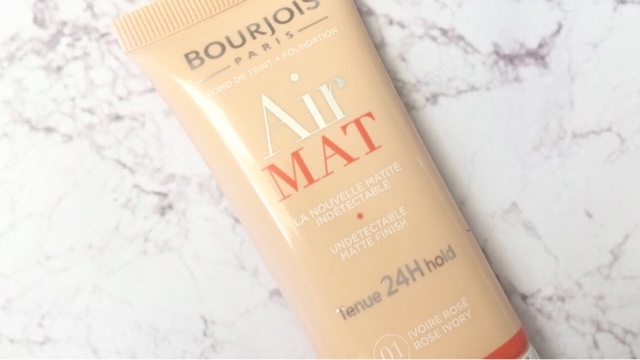 Bourjois have recently launched their new Air Mat foundation so I thought it would be helpful to review this for anyone who was interested in purchasing it! This foundation is perfect for anyone who does not have time to top up their makeup throughout the day because the longevity is fantastic! I put this to the test the other day, I applied it at 7am before uni and by the time I got home around 7pm my makeup was still in place! I decided to not retouch my powder to really see how the foundation itself held up! I have combination skin and my T zone looked totally fine at the end of the day! If you have combo skin you can almost get away without setting this foundation which naturally makes you less cakey! This foundation feels so lightweight on the skin it feels like you are wearing a light moisturiser! I hate feeling like I am wearing makeup so this foundation is so ideal for me. Another great thing about this foundation is that it did not cling to my dry patches which is unlike most mattifying foundations! I personally do not mind fragranced foundations however if you prefer fragrance free products you probably won't like this product! 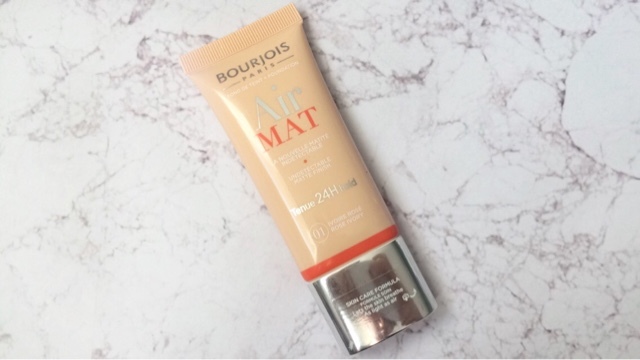 This foundation smells like all bourjois base products, it is very fruity and sweet smelling - which I love. My only criticism of this foundation is the shade range, when I went into superdrug I could only see 3 shades, all of which were light to medium skin tones! However, this is not to say there are not different shades but that's all that was available in my local superdrug! This is a really helpful review - really want to give this a go it sounds really lovely!